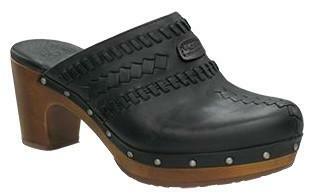 Part of the Clog Collection, the womens UGG? Vivica knows how to stand out. Beautiful weave leather detailing on the upper and a 2 ? inch wooden outsole will keep you looking good while keeping your feet comfortable.